Birthday Cake for my Bro + So Much to Love. 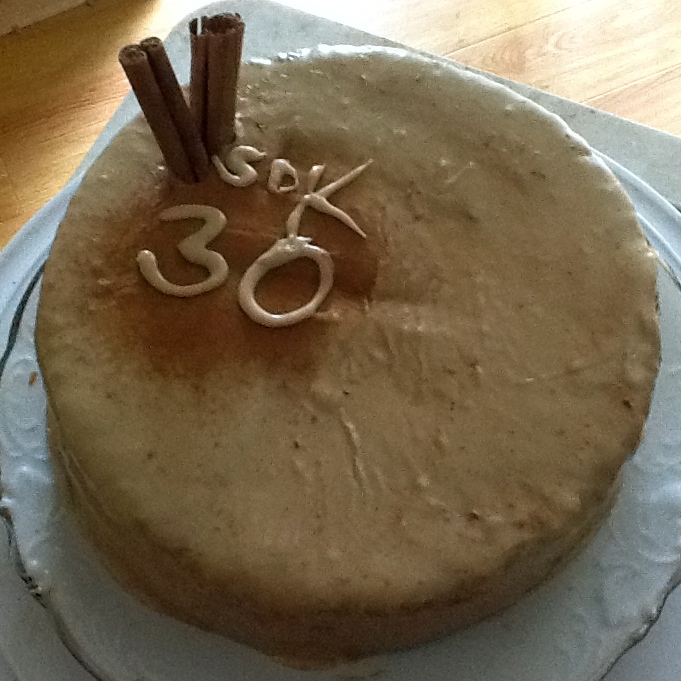 First, it was my brother’s 30th on Sunday! Do you know what it means that my brother has turned 30? It means I am almost 30 now too! Eek. Not worried about it yet, but time is trippy and I cannot believe how FAST it goes by. I can’t spend too much time thinking about it or my brain freezes up and I start feeling lots of emotions and start thinking about the universe and all of my unanswerable questions. That ish is cray. That’s all. 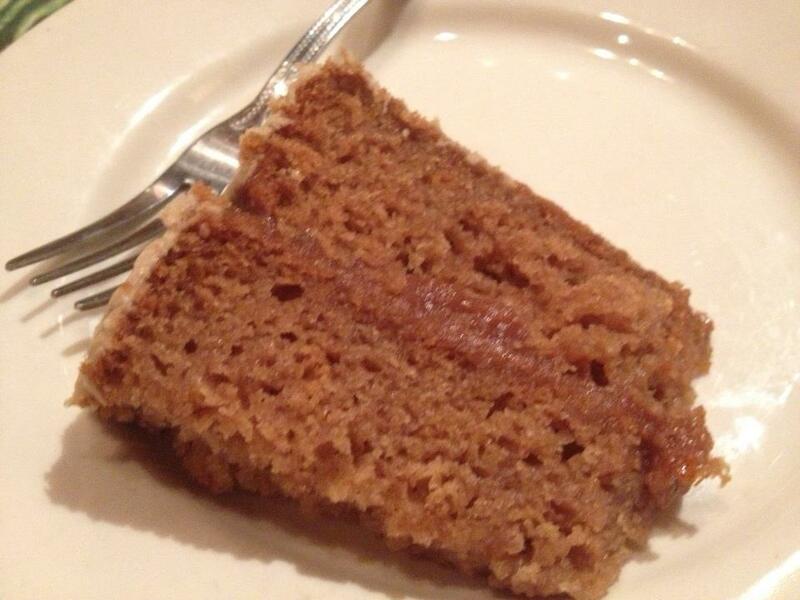 So for now, let’s just look at cake. Sorry for the crappy photos. My DSLR died right before I left for the restaurant. So, the iPad and iPhone it was. 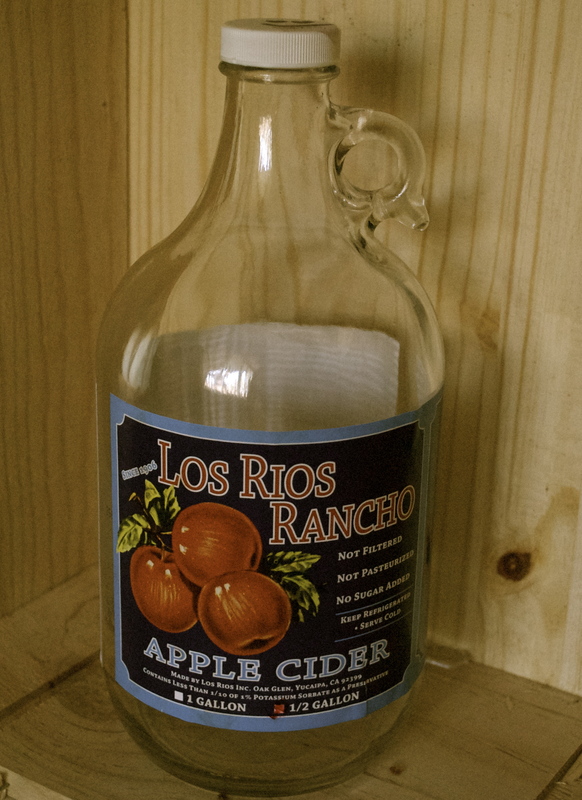 I made my bro an apple cider cake with the last of my fresh pressed, chemical free cider that I got while apple picking. Apparently the guys who work on the farm can press cider so fast that it still looks green for a few seconds when it comes out–the brown color is from oxidation. I also wanted to just give a shout out to one of my favorite vegan companies, So Delicious. They are truly the best. I have been using their products for a while now. 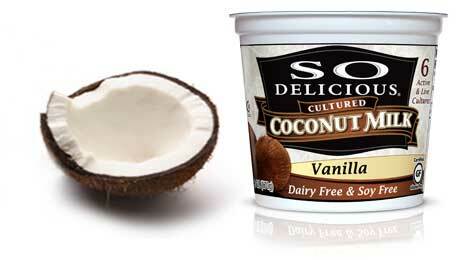 They make my favorite non-dairy milk, creamer, yogurt and ice cream. 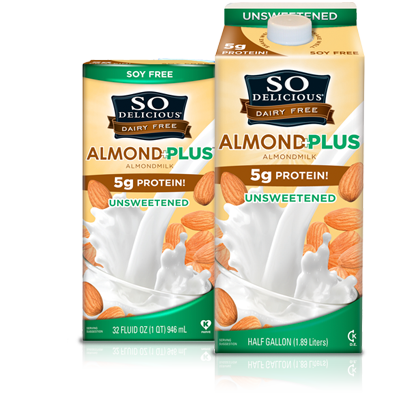 One of the things that I love and appreciate about So Delicious coconut milk and almond products is that they are soy free. Don’t get me wrong, I love me some soy. But I consume soy in many other foods like tofu, tempeh, miso etc. So, whenever I can avoid using excess soy, I do because I don’t want to overdo it and develop an intolerance or allergy (like I did with crab/shellfish in my pre-vegan days). 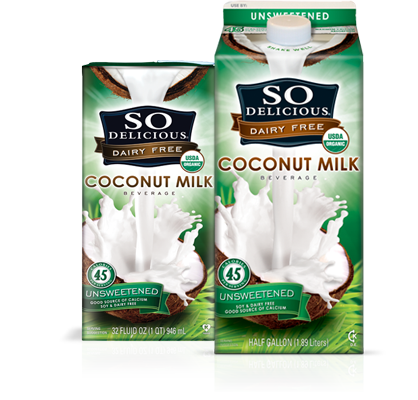 My two favorite milks are the unsweetened almond+ and the unsweetened coconut milk. Both are fabulous for drinking, cereal, baking etc. 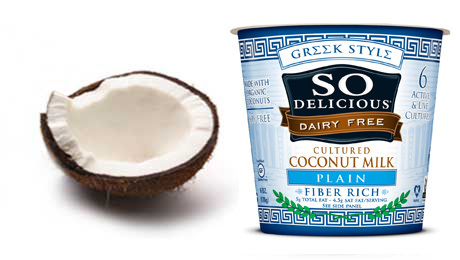 I also love using their creamer and their yogurts, (both the Greek style & regular are equally great). While I love to use their yogurts for just eating, I also love adding them to baked goods and smoothies. Also, let me just say that I do not work for So Delicious or Turtle Mountain. I just love what they make and think they’re the best! ← CJ’s Pumpkin Ranch & Pumpkin Pie. 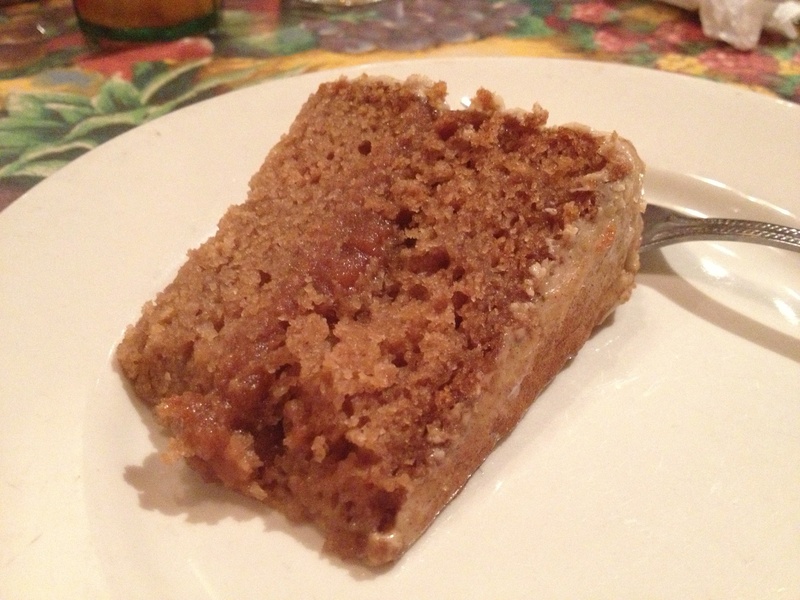 I’d love an apple cider cake for my 30th birthday…which is much closer then I’d like to think about. What recipe did you use or was it one of your own?